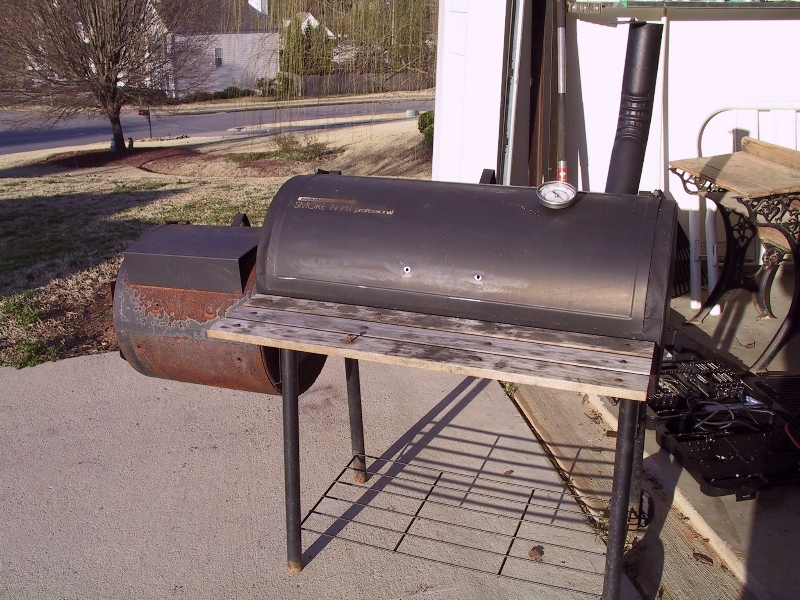 I scoured the web for a good webpage on how to recondition and paint your grill but never found one with pictures or enough information. So, here you go. I began by taking this beast apart. I removed every bolt, every nut, every screw, and every piece of wood. When I was finished I had a nice pile of rusted and corroded hardware. I ended up having to cut 3 or 4 bolts with a Dremel due to the fact that they were so rusted I couldn't remove them manually. 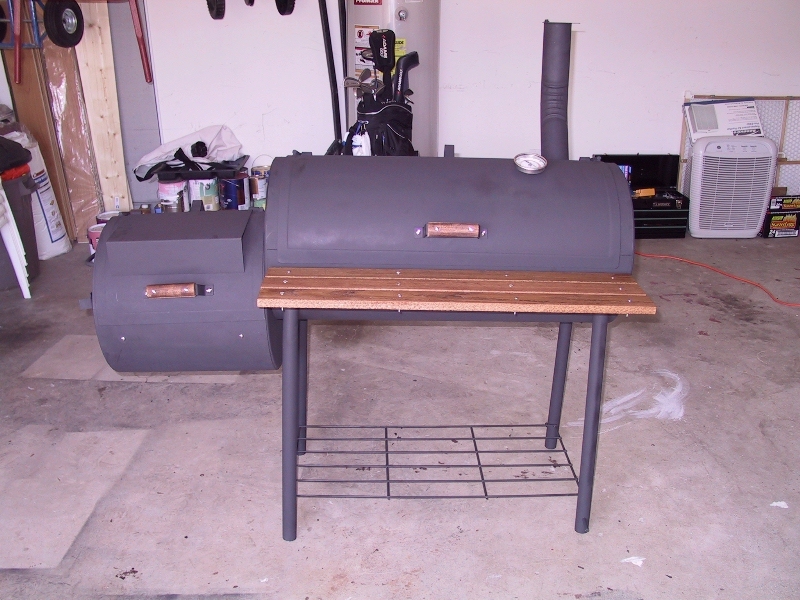 I started with all of the smaller parts and left the grill and firebox for later. I used the wire brush to remove all of the dirt and flakey rust from each part. Then I used the orbital sander to sand each individual piece. I only got the dirt and rust, and scuffed up the pieces, rather than remove all of the paint down to the iron. That would take far too long and too much work. After each piece is brushed, and sanded, I washed them each with soap and water and let them dry thoroughly. 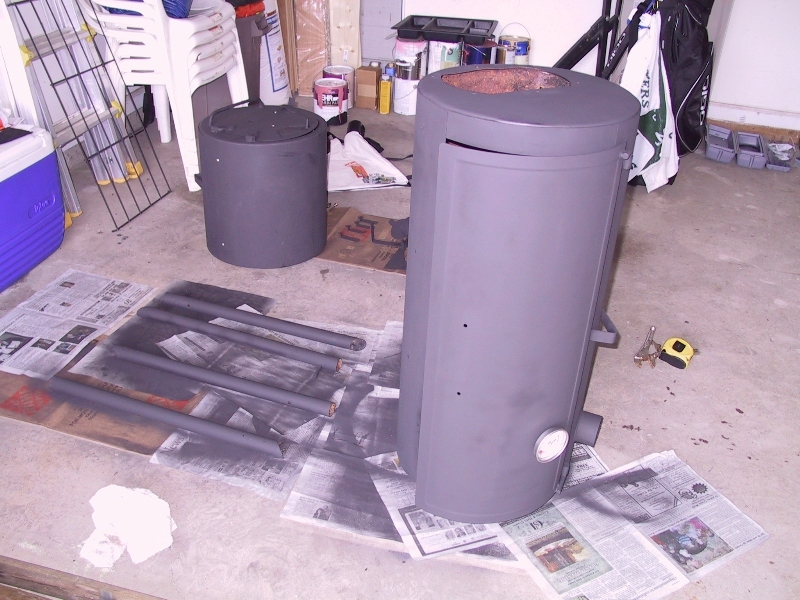 After they were dry I began spray painting each one. The more light coats the better. 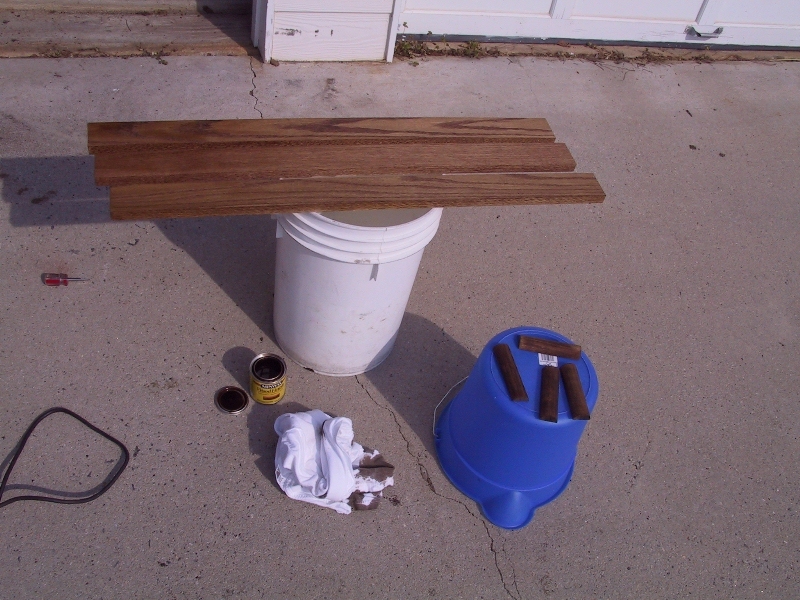 I did about 3 coats per piece and let them dry completely before applying the next coat. 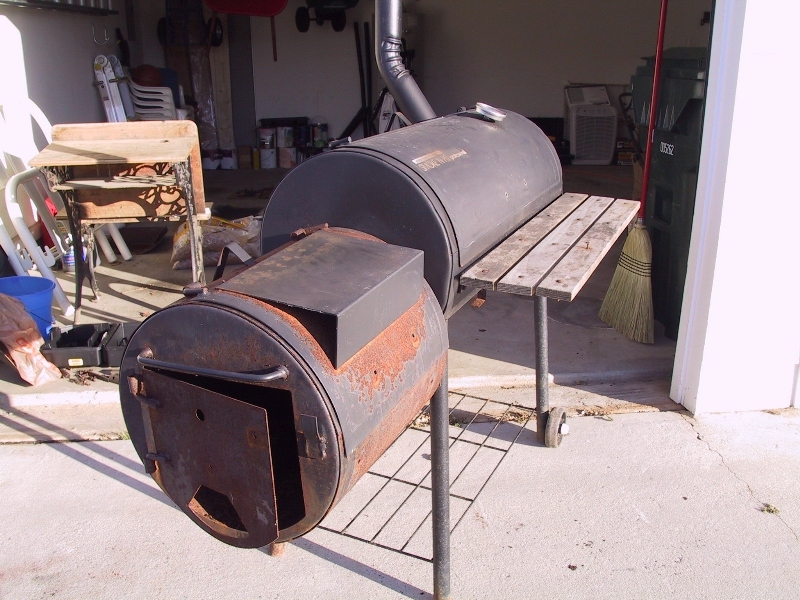 Next I did the same with the firebox. It was the piece that had the most rust damage so I spent a lot of time sanding it with the orbital sander. You want to get these pieces pretty smooth to the touch. 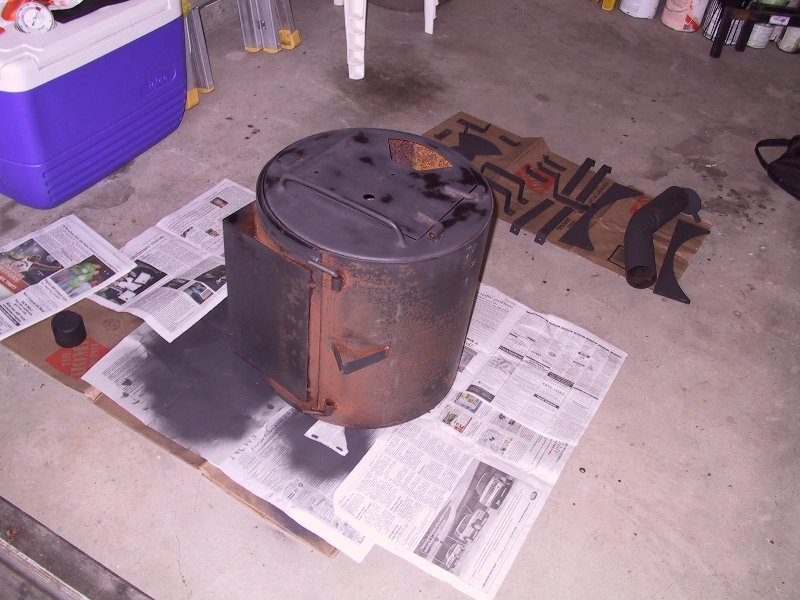 The bottom of the firebox will never be completely smooth because of the amount of rust it had. Time for the main grill part. 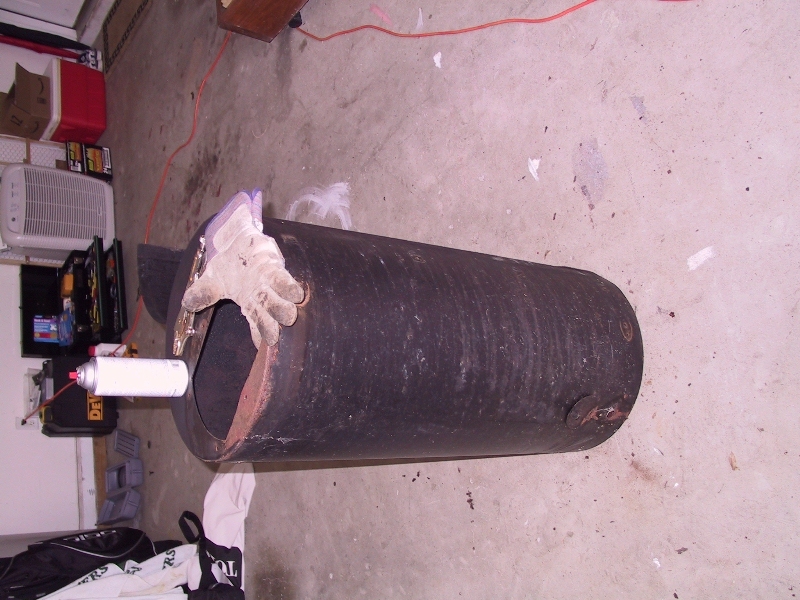 It didn't have as much rust as the firebox and was mostly dirty. 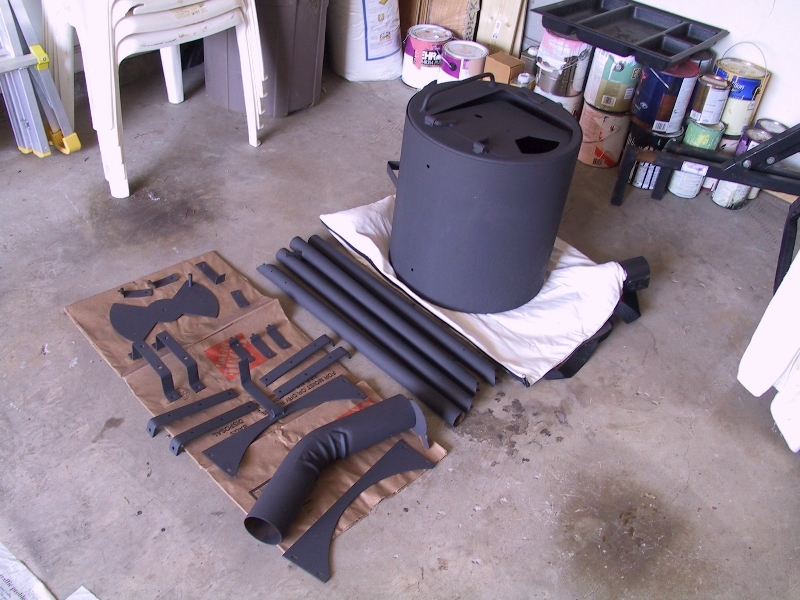 It did require some brushing and sanding work where the firebox attached to the grill. I put 3 coats of spray paint on this after sanding and washing. 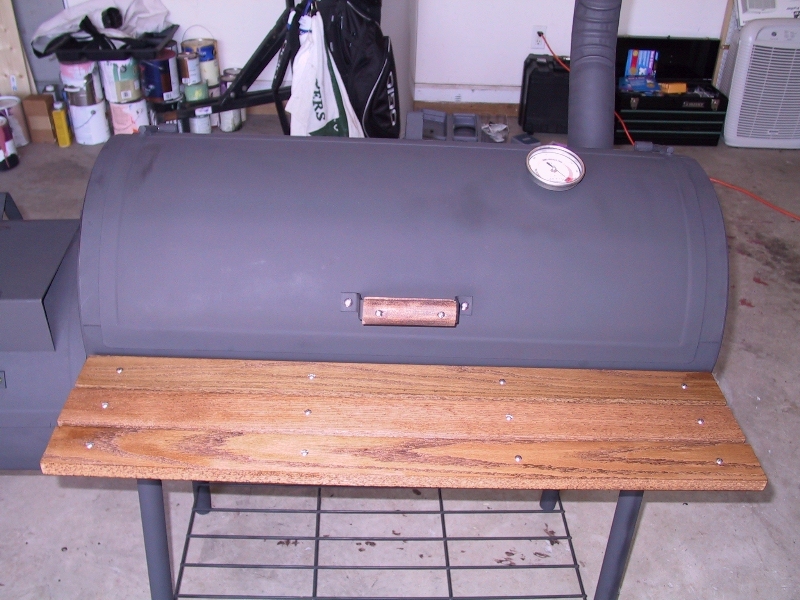 It's fairly simple to recreate the wood pieces of your grill since you have a template to go by. 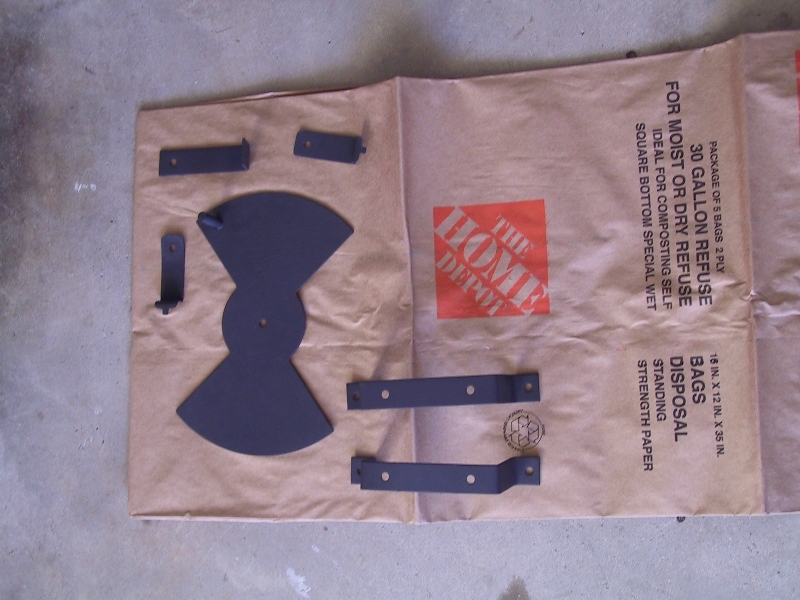 I just cut the boards to match what was on the old grill, and used them as a stencil to drill the bolt holes. Make sure to drill your holes before you sand and stain. I didn't and had to redo a few steps. The wooden handles were a bit tricky, especially since I do not have a table saw. I bought a wooden dowel that matched the old pieces width, etc. I cut it down the middle with a circular saw and a lot of clamps (not recommended, use a table saw). Then I just simply cut them the correct size for the handles. Now its time to put it all back together. I put the legs on backwards. What to do with the inside. Coat the inside with cooking oil. Light a good hardwood fire in the firebox at a pretty hot temperature, 500 degrees or so for a couple of hours. 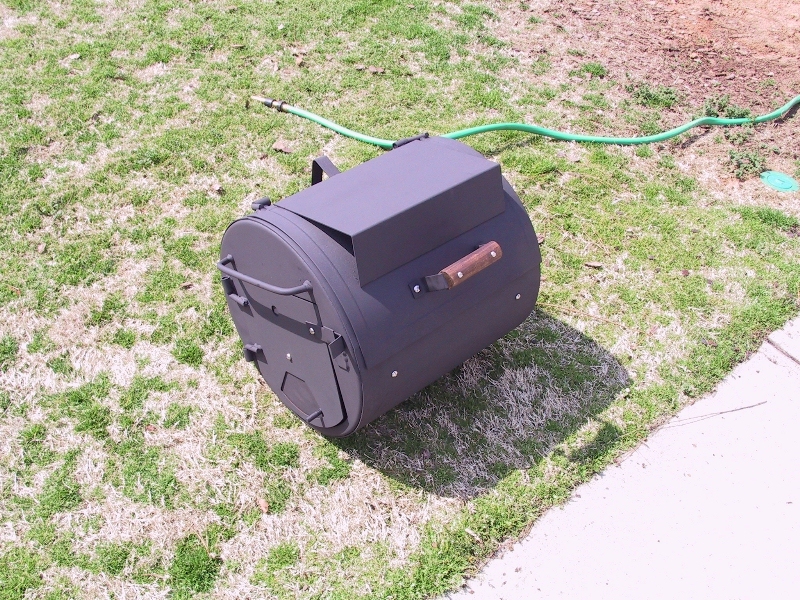 This will cook and season the inside of the grill, as well as cure the paint on the outside. Overall this probably cost me $40 in parts, and around 10 hours of labor. It beats spending another $350 every few years. I hope you found this useful, email me with any questions you may have at scott at scottmoore.net.